For our latest competition, Dezeen has teamed up with Japan House, the Design Museum and London Festival of Architecture to give readers the chance to win tickets to Futures of the Future, a talk by Sou Fujimoto on 12 June 2018. This competition is now closed. Congratulations to the winners, who are Martina Terracciano from London, UK, Eliot Ellis-Brown from Winchester, UK, Meera Badran from London, UK, Gordon Yip from London, UK and Michael Horsfield from Lancashire, UK. 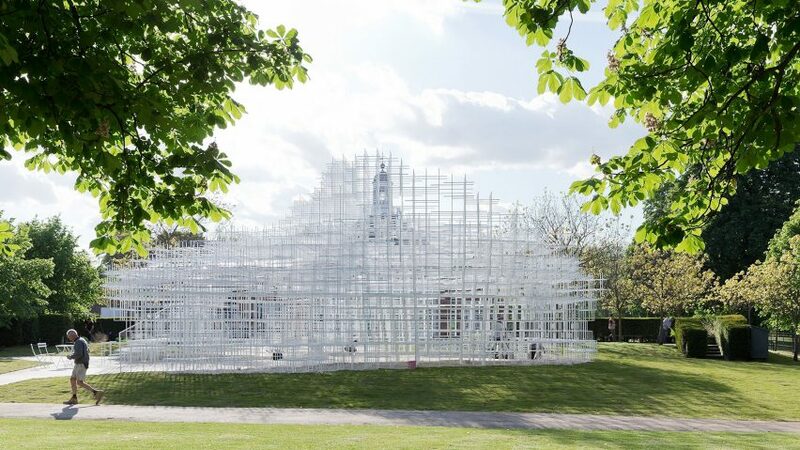 Sou Fujimoto's L Arbre Blanc aims to combine nature and architecture, a topic he will discuss at the talk. Image by Iwan BaanJapanese architect Sou Fujimoto will discuss the relationship between nature and architecture with the Guardian's architecture and design critic Oliver Wainwright at the event held at the Design Museum in Kensington, west London. The talk is being held in collaboration with Japan House, which is opening a gallery and exhibition space to be the "cultural home of Japan in London", later in the month. The event is also a collaboration with Tokyo's Toto Gallery MA and part of the London Festival of Architecture, which Dezeen is a media partner of. Discussing some of his well-known projects, Fujimoto will talk about the potential of architecture that can respect and what already exists. Following the talk Wainwright will lead a conversation with the architect. The talk is timed to accompany the opening of exhibition of the same name at Japan House. The exhibition will be the first at the organisations new London home and will future explore the work of the influential Japanese architect. Competition closes 8 June 2018. Five winners will each win two tickets. The winners will be selected at random and notified by email. Their names will be published at the top of this page.